Pisang Peak rises above Pisang village and the yak pastures in a uniform slope of ice and snow before reaching the final summit pyramid. Pisang peak is considered one of the easiest trekking peaks in Nepal. To reach the base camp from Pisang village, the path ascends through sparse wood and pasture to Kharka at 4,380 meters (14,366ft) this is considered the best place for setting up base camp. High Camp is set up at 5,400 meters (17,715ft) climbing to a shoulder on the South-West Ridge. There will be snow at the high camp from the end of November to the end of March. The well-defined ridge leads to the final snow slop; this is quite steep but not too difficult. We descend by the same route. Early morning start to make the bus journey to Besisahar), the starting point of the trek. Your adventure begins! Passing through many small villages on the way will fascinate you with snippets of everyday living in these lowland villages you will reach Besisahar in evening. 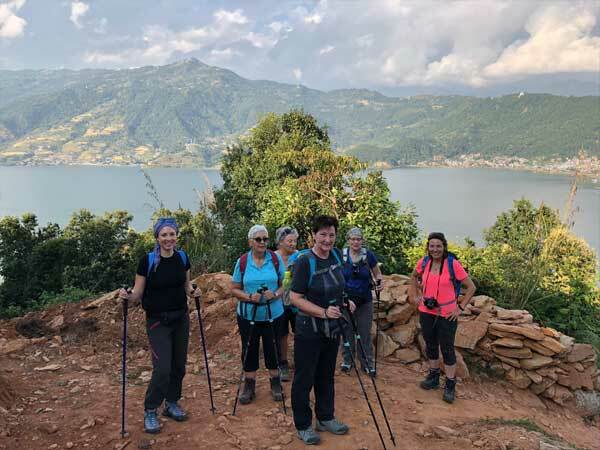 The first day of your walk involves crossing a few suspension bridges, waterfalls, several ups and downs hill sections, across rice paddies and subtropical forest. The villages and people are an interesting mix. You eventually ascend to Bahundanda (Hills of Brahmins) for the over night, a village set on a long ridge at 1310m. We descend through amphitheatre-shaped rice terraces, along a steep vertical cliff, lush forests, and some culturally intriguing villages. 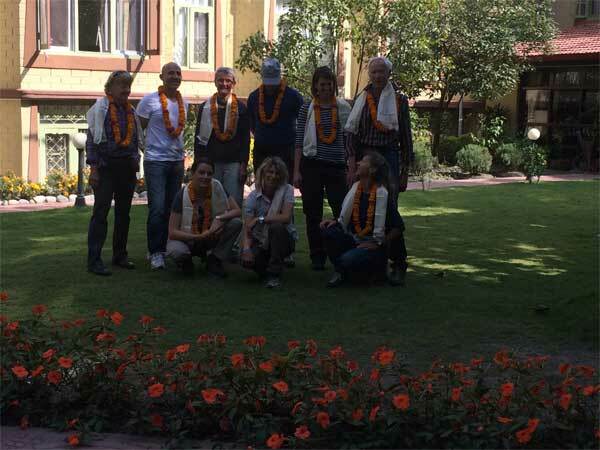 We start gradually walking up after crossing suspension bridge in the Mayshyangdi River and get Jagat where we will step for lunch. We will have one and half hours further rocky trail walk to reach Chamje. Spend the night at Chamje. After breakfast, you will cross a suspension bridge in Marshyangdi river just right after you left Chamje and You will enter to Manang district after walking up hills before to reach tal, after passing fields of Corn. Barley and potatoes and then through forests of bamboo and Rhododendrons. Just right after the tal, you will across the river and continue walking through the cliffy way right above the river and reach Dharapani at late afternoon. Today you will negotiate a few steep forested landscapes, along with several landslides on route, remember to look up though, as you will receive some sensational views of major Himalayan peaks. Today you will encounter some typical Tibetan villages enroute before to reach Chame. Chame is districts headquarter of Manang. Beautiful views of the Mt. Lamjung and Annapurna II can be seen from your hotel. A narrow steep path through a very dense pine forest will bring you to the dramatic curved rock face, rising 1500m from the river. As the trail opens up you will be surrounded by Himalayan Peaks all the way to Pisang. You will have an extra half an hour climb towards a big hill to reach Pisang. Today we start walking up towards Base camp from Pisang village, the path ascends through sparse wood and pasture to a Kharka at (4,380m) which is considered the best place for setting up the base camp. It is in a flat alpine section along the well worn trail. Today you will have a rest day here. Check and set up all the gears for climbing and acclimatized. Enjoy the whole day with very nice magnificent views of all the Annapurnas, Gangapurna and Tilicho. Relax day. Today you will trek from Pisang village and continue trek to Manang village walking across the riverside. Here, you will notice a contrast with the landscape and vegetation. The cold, dry climate creates a much harsher environment. Incredible views of the towering Himalayan Peaks. Manang is a great Mt. Valley which has a rich customs & tradition and gives you an opportunity to observe a traditional lifestyle of Manangi People (one of the Ethnic Group people of Nepal). We start trek after breakfast and leave the trail off to Tilicho Lake on the left corner and continue a short walk up to Yak Kharka, a small settlement set at 4,110m/13,484ft. we will have a gradual ascent towards a little hill and way goes more right behind the hill and reach yak kharka. Make your way to the foot of the pass, Throng Phedi. A small places although busy settlement catering to the needs of trekkers and climbers. It is situated at the bottom of the thorong la and the trails continually step up to Thorong la afterwards. An early start is most important to begin a long day trek over the pass. Crossing this fabulasThrong La pass (5,416m) will be an unforgettable experience. However, the problem may arise due to the altitude and snow. It may causes problem to cross the pass if it is covered by snow. The views from the trail and from the pass itself are outstanding high Himalayan scenes. We will enjoy the top with a hot cup of tea/coffee (But not available at Dec – Feb) and enjoy the celebration of success at the pass. And start a long descent to another part of the Annapurna and reach Muktinath at evening. Today we will have easy walking day down to Kagbeni and walking through the sand bar of Kali Gandaki river. You can look for fossils on riverside while walking because finding a natural fossil from the Kaligandaki River brings good luck in your life. Jomsom is the head quarter of Mustang and it is inhabitant of Thakali people with rich culture and tradition. You can rush your afternoon to visit Ecological museum of the Jomsom which gives you more information of the old traditional culture, tradition, flora and fauna of the valley. Early morning we pack our bags and get ready for the Trans Himalayan flight to Pokhara. The flight transit through between two high peaks Annapurna and Dhaulagiri and give us a wonderful opportunity to enjoy with best views of surrounding Himalayas. From Pokhara you can also take 45 min flight back to kathmandu at same day connection from Jomsom.